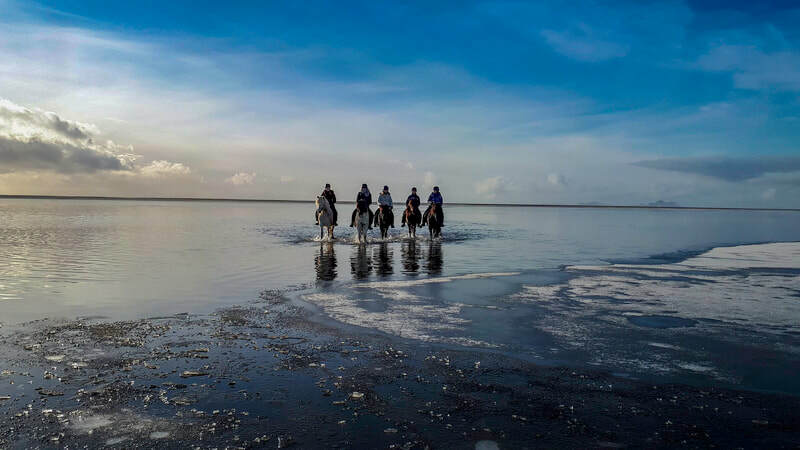 This is a 3-hour horseback riding tour where we ride through green fields on your way to the beautiful black sand beach. 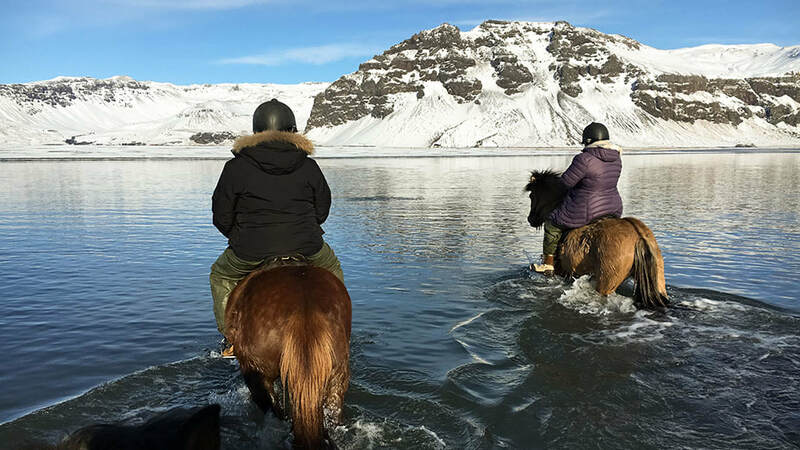 We let the horses wade across Holtsós-lake and then ride along the Black Beach. We can have amazing views from the black beach in nice weather. Over to the ocean to the Westman Islands and to the mountains and the glacier Eyjafjallajökull in the north. As well as magnificent view along the North-Atlantic coastline. 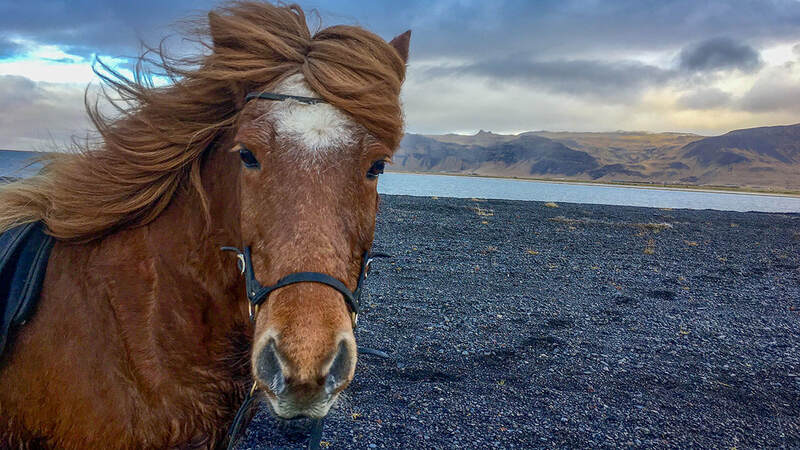 It is a special feeling to be at this private beach without anyone around and being able to enjoy the surroundings while sitting on the back of the horse. Sometimes it is possible to see seals swimming in the ocean near the beach, so bring your camera with you. All the gear you need for the horseback riding, such as helmet, boots, and rain gear if needed.